After simmering quietly for some time now, the tension between Bounty Killer and Mavado seems to be boiling over. Back in the early 2000s, Bounty gave the young artist a powerful co-sign by making him a part of the Alliance and Mavado repped the crew hard during the Gully / Gaza conflict with another former Killer protégé, Vybz Kartel. But in recent years, Mavado has distanced himself from dancehall’s Five Star General, and this year the pair have been releasing diss tracks back and forth (Mavado’s ‘No Friend’ takes a more subliminal approach while Bounty’s ‘Death Work’ and ‘Kill And Destroy’ get straight to the point). Amongst all this there is now one voice of reason calling for peace. 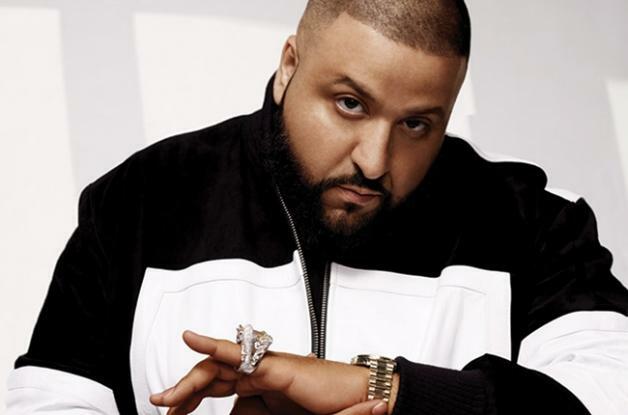 “Mavado is my friend and I heard things in the street that there is a little vibe going on,” says DJ Khaled, who signed the singer to his We The Best clique. “Mavado will tell you I am always going to promote love and promote peace and I am always going to promote positivity, because that is what a real friend is going to do.” Khaled has even suggested making a track with Mavado and Killer – and nothing helps squash a beef like making a hit song. One Love Books, the London-based company that published Clarks In Jamaica in 2012, is back with another richly illustrated reggae-centric volume entitled Sound System Culture. Written by Paul Huxtable of Axis Sound System, the book celebrates the sound systems of Huddersfield and tells the story of Jamaican immigrants who brought dancehall traditions to Great Britain, creating a home away from home for themselves and transforming England’s music scene in the process. A must read. Hot 97 is New York’s number one hip-hop radio station, and their annual Summer Jam concert has become a legendary platform for the biggest rap and R&B stars. Over the years the concert has included dancehall artists like Sean Paul, Elephant Man and Cham to please NYC’s massive Caribbean population. This year, Bunji Garlin became the first soca artist to play Summer Jam, on the strength of his worldwide hit ‘Differentology’ (aka ‘We Ready For The Road’). But he almost missed the gig entirely because his flight from Antigua was four hours late. Fortunately, Bunji broke all speed records getting to New Jersey’s Met Life stadium and performed an abbreviated set for 75,000 screaming fans. If you don’t know the name then it’s time to get to know the artist behind ‘Put Up Uno Hand’. Latty J is her name and please don’t try and “tame” her. “Muma Saw give me the belt and say fi beat them with it,” says the cheeky new artist who is fast making her presence felt on the scene. Starting on the scene as Mr.Vegas’s backing singer she is now a full-fledged artist signed with his MV Music Group. Looks like #Teamhustle gonna do big fings. 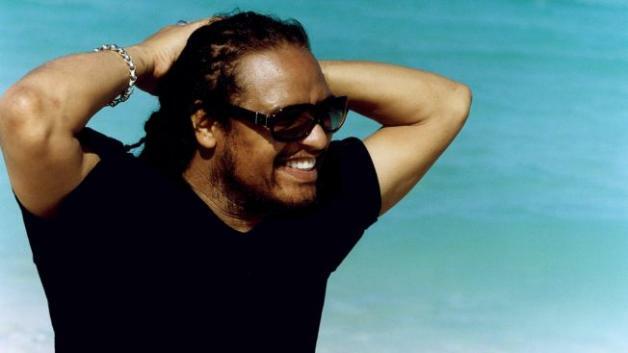 It’s been a minute since Maxi Priest has made an album: seven years to be exact, since his last full-length release. This month he ends the drought with ‘Easy To Love’ on the VP label. With two listening parties to preview the disc – one in London, and another a few days later in NYC – the man who gave us ‘Close To You’, ‘Wild World’ and the Shabba Ranks duet ‘Housecall’ seems to be preparing to take the scene by storm all over again with his swaying dreadlocks and rich, soothing voice. ‘Easy To Love’ and ‘Loving You Is Easy’ are the first two songs on the album – so it’s safe to say you can play this one on repeat during date night. But don’t sleep on Maxi’s deejaying skills. He's a sound man from the early days – spitting lyrics on Saxon Sound System alongside the likes of Tippa Irie and Smiley Culture. And of course he was responsible for getting Papa Levi in the studio to produce ‘Mi God Mi King’. Anybody who’s into Stephen Marley’s recent EDM-flavoured track ‘Rock Stone’, will have heard Ragga Marley deejaying full lyrics to this classic tune. Popcaan has just released his debut album ‘WWCF’ – ‘Where We Come From’ – on Mixpak Records, with production from a blend of Jamaican and international producers. There has been a bit of controversy around the dancehall star since his former mentor Vybz Kartel was incarcerated on murder charges. But as he explained, “it’s always been about music” for him. The artist who collabed with Kartel on the 2009 smash ‘Clarks’ might not have changed up his shoe game, but he sure is showing his versatility on this release. The album displays a different side to the Raving King with uplifting songs like ‘Hold On’ and ‘Everything Nice’. A collab with Pusha T and a remix with former rival Mavado show growth and promise that this album will become another milestone for a ghetto yute doing his thing. 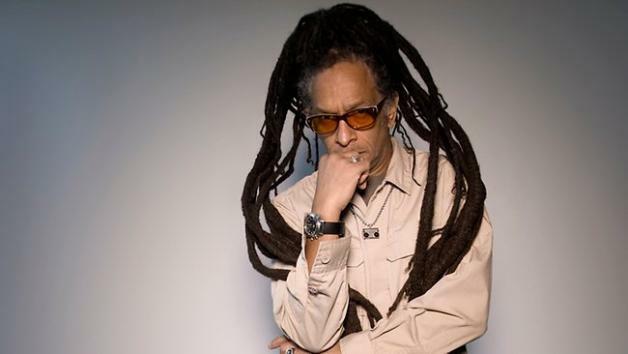 As the resident DJ at The Roxy during the 1970s and ’80s, Don Letts was responsible for mashing up reggae and punk rock sounds for a diverse audience unified by its rebel sensibility. He's gone on to become a documentary filmmaker and was a member of the band Big Audio Dynamite. This month Letts will be playing at Paradise by Way of Kensal Green on June 20th. Over the past four years, Groovin’ In The Park has emerged as New York City’s premiere reggae festival with an upscale, family friendly vibe and an eclectic range of music reminiscent of the Jamaica Jazz Fest. This year is shaping up to be the best staging of GITP yet. The headliner is Jamaica’s number one soul man Beres Hammond, the Grammy nominee with a catalogue of love songs and reality tunes unmatched by any reggae singer working today. Representing for the youth is Chronixx, the fastest rising star in Jamaica who will bring his Zinc Fence Redemption rhythm section to deliver a set of roots rock reggae with a dancehall. Also performing are Marcia Griffiths of ‘Electric Slide’ fame and Judy Mowatt, both of who sang harmonies for Bob Marley as the I Threes along with Bob’s wife Rita and have become living legends in their own right. Vintage stars like John Holt and Bob Andy will also be on hand, backed by the renowned 809 Band. And don’t forget the wildcard of the line-up, ’80s/’90s pop duo Air Supply. Jamaica loves some straight-up pop music and many of Air Supply’s tunes have been covered by dancehall artists. For more info and tickets, head here. 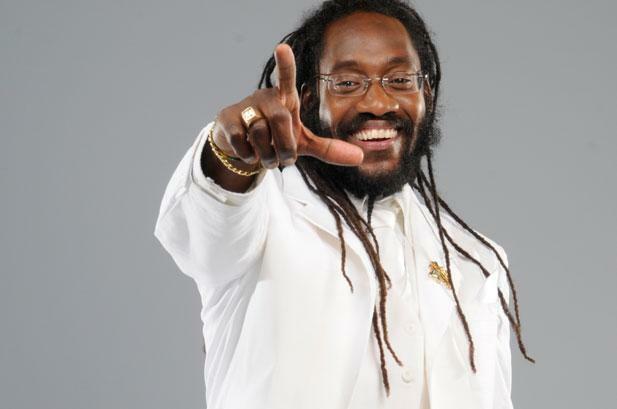 Great riddims in rotation this month include Jukeboxx Productions’ ‘Greatest Creation’ with voicings from Tarrus Riley on the title cut, Shabba Ranks’s ‘Big Time’, Lady Saw’s ‘Selfie’, and ‘Don Daddy’ by Konshens, who just shot a video for the Super Cat tribute in Flatbush, Brooklyn co-starring dancehall icon the Outlaw Josey Wales. The place was filled with professional dancers showing off their moves while both Konshens and Josie popped bottles in the VIP section of club Nova. Ricky Blaze, the man responsible for producing Gyptian’s smash hit ‘Hold Yuh’, has another catchy juggling on his hands with the ‘Uptown Julie’ riddm. This one has voicings by Gyppy plus Kes of the Trinidadian soca/rock crew Kes The Band, Zoelah and Ricky himself. 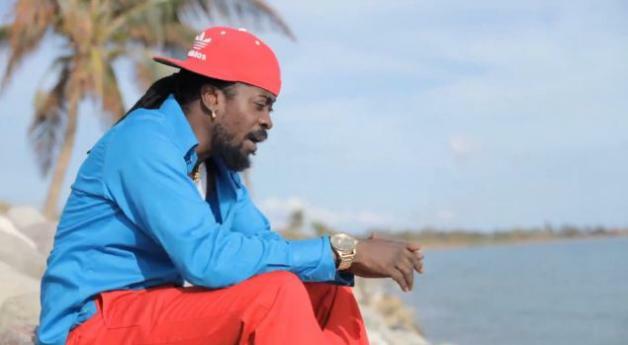 With so many spins on reggae at the moment, Ricky names his sound ‘Trancehall’. Get ready to be entranced. When your gig is named Best Of The Best, that’s a lot to live up to and if you don’t deliver the goods the whole thing can feel like a gimmick, or just a disappointment. In past years this was the festival where the biggest dancehall reggae and hip-hop acts shared the stage in Miami’s Bayfront Park. It all sounds good on paper but in reality the mix didn’t always work out so well. This year the promoters decided that they didn’t any more rap acts, with one of them, New York radio personality Jabba, declaring that reggae and rap were like “oil and water” – they just don’t mix. So this year’s show was 100% Caribbean, with a blend of reggae and soca. Acts like Bunji Garlin and Destra appeared alongside Beenie Man and a crowd wearing lots of ‘Free Buju’ T-shirts as far as the eye could see. Three of the most incredibly talented singers ever to come out of Jamrock were placed adjacent to each other in the line-up. Cocoa Tea followed by Barrington Levy and Beres Hammond – oh gosh! Not many people have witnessed this kind of experience in all their lives. Cocoa gave the crowd something sweet in the Miami heat, as they sang along to tunes like ‘Love Me’, ‘Good Life’ and ‘Rikers Island’. Next up was Barrington, who belted out classics like ‘Here I Come’ (aka ‘Broader Than Broadway’), ‘Living Dangerously’ and ‘Under Me Sensi’ as the sun set over the palm trees. The early evening set in just as Beres hit the stage. “Hush, hush…” It was time for Jamaica’s number one soul man. Greeting the audience as family, Beres proceeded to reel off classics like ‘I Feel Good’, ‘Groovy Little Thing’ and ‘Tempted To Touch’. By this time the crowd was in a frenzy as the trio’s performance had the park captivated for the duration of each set. Talk about some tough acts to follow! After the three giants vacated the stage it would have been nerve-racking for just about any other artist to step up next. It was time for rising star Chronixx to do his thing. From his first tune, ‘Here Comes Trouble’, a sizable portion of the crowd showed their restlessness at the sudden halt of reggae classics. Some may have thought it was a miscalculation to ask an up-and-comer to perform in that spot, but Chronixx managed to keep some of the crowd focused before passing the torch to the dancehall acts. Assassin aka Agent Sasco broke onto the stage and deejayed his arse off. Miami is used to that rap swag, and Sasco had everyone eating out of the palm of his hands as he laced them with fresh lyrics. The countdown to the end of a big park show is always a challenge for both the promoters – desperate not to go over their agreed closing time – and for the punters who want to get ahead of the exit line and traffic jam. But when the ‘Girls Dem Sugar’ steps on stage you’d better stay put and watch because it’s gonna be worth it. If the girls stay glued, the guys have no choice but to do likewise, and so it goes. “They do this to me all the while,” said Beenie Man, who had maybe 10 minutes to strut his stuff. He launched into mad medley of ‘Sim Simma’ followed by ‘Romie’ and ‘Slam’ – on and done! Beenie may have preferred to stay longer but he gave the people exactly what they came for. Just enough that every single car on the Miami highway seemed to be full of fans singing ‘Dude’ all the way home.